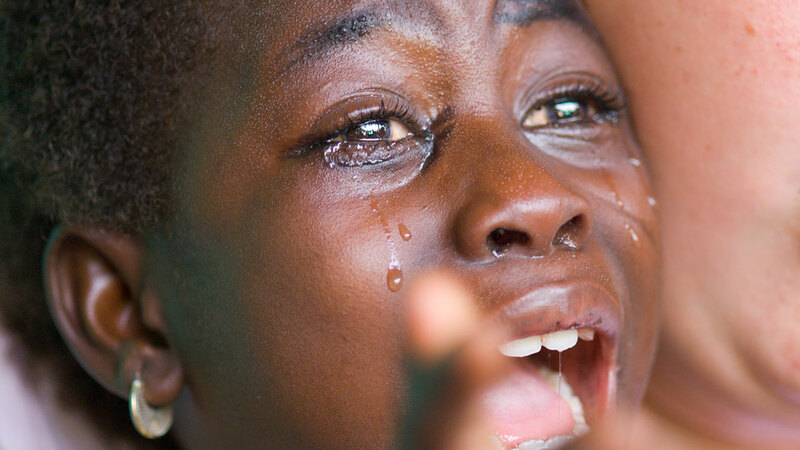 The victory over Guinea worm was a hard fought battle for Ghana. After making rapid headway against Guinea worm, in the mid-1990s ethnic conflict in the northern region and other challenges caused setbacks for several years. But by 2000, the program gained renewed momentum. At left, Awabu Alidu—who endured four Guinea worms in 2007—receives outpatient care at the Savelugu containment center. Today, shown at home with her husband, Awabu is among Ghanaians free of Guinea worm disease, thanks to grassroots efforts including: health education, the distribution of nylon household filters and pipe filters to strain out water fleas with infected larvae, treatment of stagnant water sources with ABATE® larvicide, increased efforts to build safer hand-dug wells, mobilization of more than 6,000 Red Cross Women’s Club volunteers, establishment of case containment centers throughout the country, and vigilant village volunteers who were trained, supplied, and supervised by the program to carry out monthly surveillance and interventions. Guinea worm disease is contracted by consuming water with infective larvae that grow inside the human body to a meter in length, eventually emerging through sores in the skin and often crippling victims. 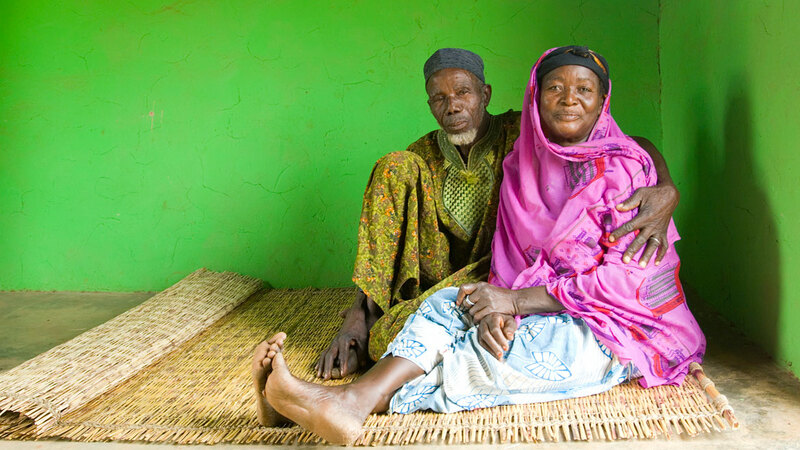 At left, Sadia Mesuna endures extraction of three Guinea worms, which emerged from her feet. 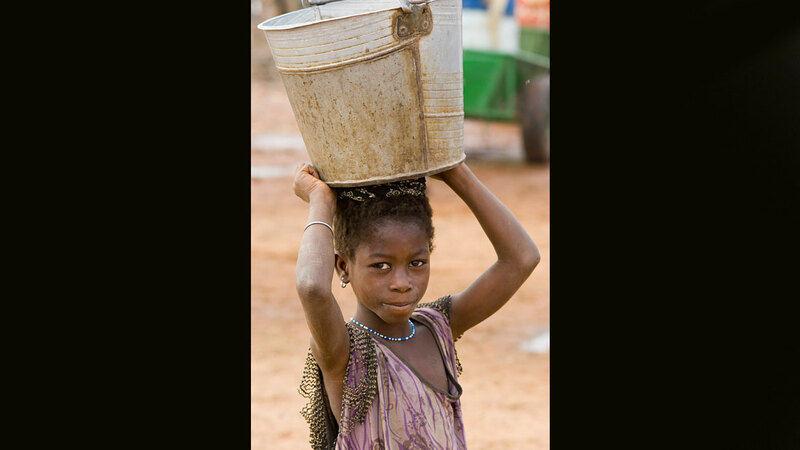 Through health education, including use of picture books, Sadia learned that the disease is contracted by drinking unfiltered water. 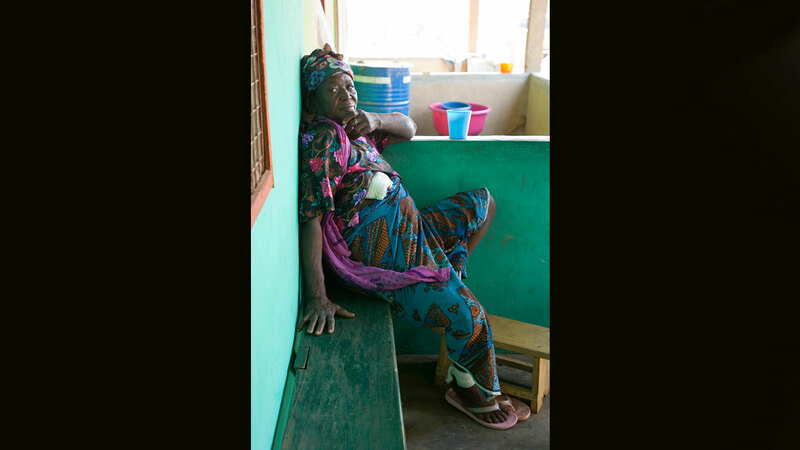 Sadia, who spent two months at a Carter Center-sponsored containment center, is now Guinea worm-free and able to participate in her family’s daily activities, such as collecting water. With transmission halted, Ghana’s citizens will no longer suffer from the economic and social hardships that accompany Guinea worm disease. Volunteer Sulley Zakaria treats Hubeida Iddirisu for three painful Guinea worms, using medical supplies provided in Carter Center-supplied "Guinea worm backpacks." 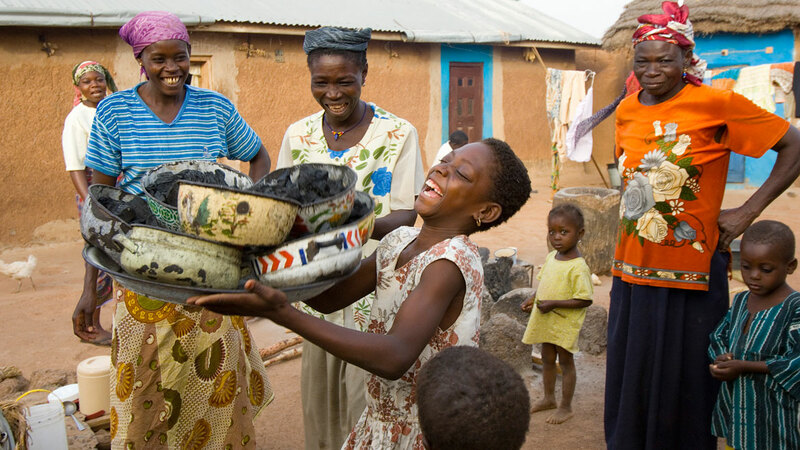 Today, Hubeida is Guinea worm free, a familiar face again in her neighborhood, and able to carry out her daily chores plus a job several hours a day to earn money to help support her grandmother and three siblings, and pay their school fees. 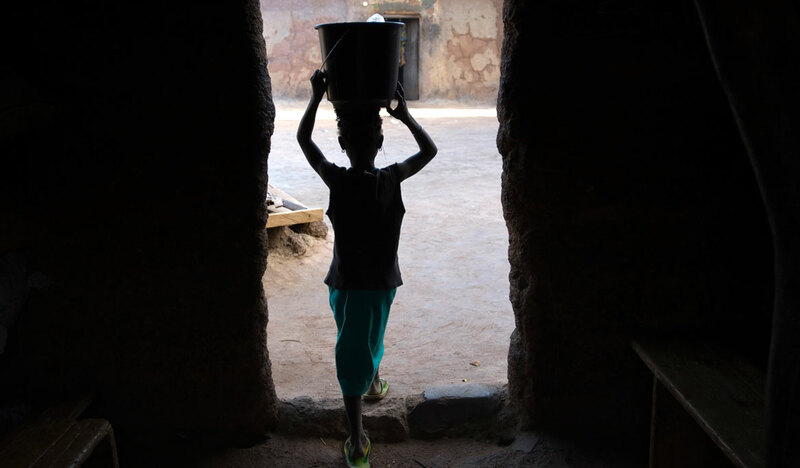 The fight against Guinea worm in Ghana—which saw more than 500,000 cumulative cases of the disease from the time of the program’s inception—included distribution of more than 4 million cloth filters, more than 1 million pipe filters, and 72,000 liters of ABATE®#174 larvicide. Rafia Fuseini (left) is comforted at a case containment center by President and Mrs. Carter, with Dr. Issah, as the hanging worm in her left foot is examined. 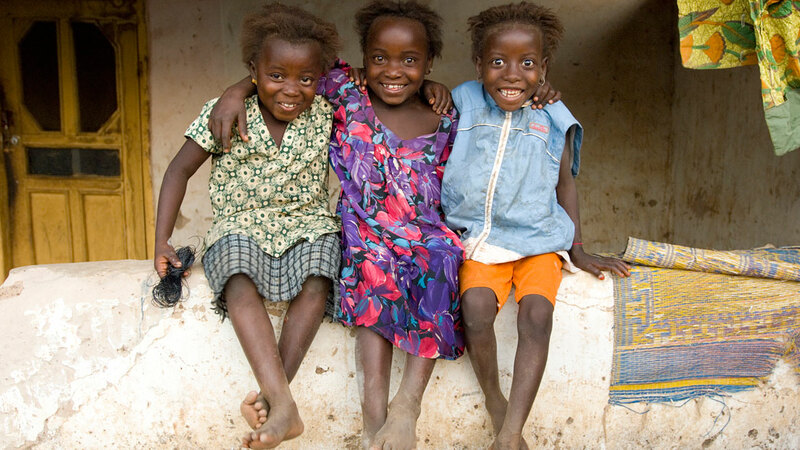 Shown one year later, Rafia (right) and her sisters—Fatima (left) and Samata (center)—are all smiles, free of Guinea worm disease, and symbolic of the country’s victory. Ghana now enters a three-year phase of continued surveillance to achieve official World Health Organization certification of its success. Only three nations now remain in the Carter Center-led international campaign to make Guinea worm the second human disease—after smallpox—to be eradicated from earth.